Create customizable forms for your web site. Collected data will be recorded in your lists. Start your permission email marketing immediately with the Free version or by purchasing the bulk email software Pro version. You can create forms to let people subscribe and unsubscribe to your newsletters and use SendBlaster to manage them. 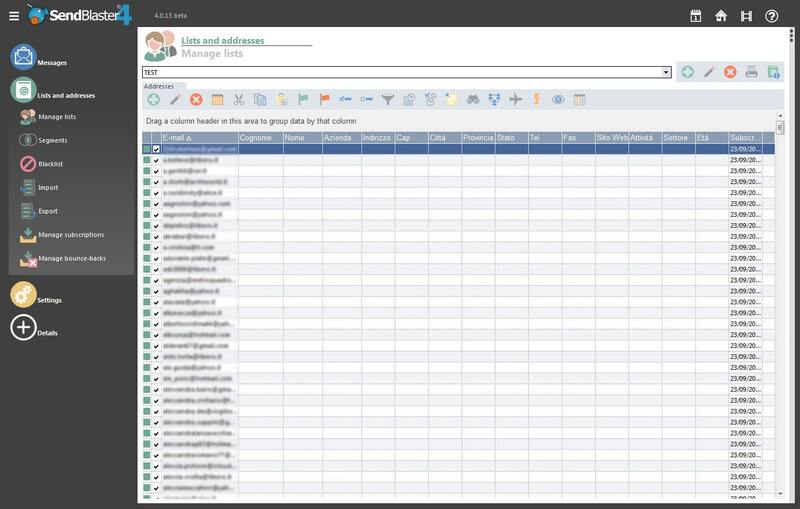 These form send an email with data gathered from all the fields to your mailing list management email address. Data may be processed from our mailing software Sendblaster. After each customer subsctiption in your Website you will find their information right inside your Sendblaster database. You will create a permission based mailing list, whom you will send your newsletter and special offers. Opt-in forms are subscriptions forms. If the double opt-in is selected, than user will receive a confirmation mail he’s required to answer. Opt-out form is a simple unsubscription form. The actual approved US CAN-SPAM Act requires an opt-out solution in your emails, this can be enough for American law. Please consider that the European Directive 2002/58/EC is more restrictive and requires mandatory “opt-in” modules to gather the customer emails for email marketing and newsletter subscription. The double optin subscription management is the best way to respect your customer’s privacy.